With 40% of business revenues captured by organic traffic, it is crucial for companies of all sizes to invest time and resources in optimizing their way up search engine page results through content marketing. Many business owners, however, mistakenly think that by investing in paid ads, they can achieve the same results in less time. Nearly 80% of users today ignore paid ads in search results though. In a world cluttered with ads, genuine and fresh content marketing, created with the idea of sharing important information with the audience plays an important role in the overall marketing strategy of a company. Is Content Marketing Relevant For B2B Companies? Many B2B companies struggle to understand the value of blogging. Organizations that have invested time and resources in developing a well-thought content marketing strategy have seen an increase of 67% in terms of inbound leads compared to those that didn’t. For this reason, savvy marketers are not willing to compromise on this part of their marketing strategy equation. Regardless of whether your company operates in a B2B or B2C environment, it is important to get a few things straight. Understanding correctly some of the basic SEO principles that directly affect your content marketing strategy will help you achieve better results in the long-term. A content marketing strategy built without keeping in mind how SEO plays a crucial role in its success, it’s like planning a trip without thinking of how to get from A to B. A great content strategy that is combined with SEO will work for your company even while you are asleep. 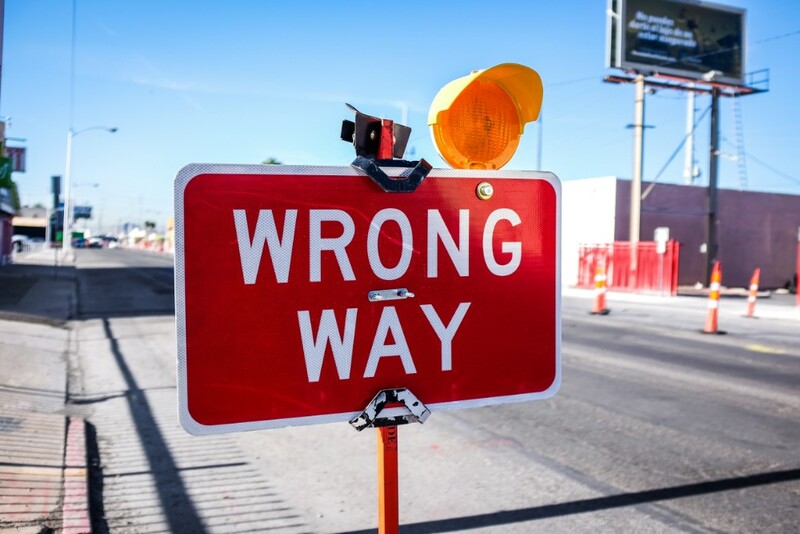 Often times, however, marketers ignore either one or the other part of the strategy equation, resulting in poor results overall or even worse, mistakes that can penalize the company website. The understanding of common mistakes in content SEO can prevent issues that have a long-term impact over your strategy. Blogging is about writing content that people want to read and share. If you work on a blog article and focus exclusively on SEO, you might miss the whole point of content marketing, that is writing. Creating content alone won’t assure you better search engine ranking. There are several factors that influence your ranking, one of these is how many people (or websites) link to your article. If you overly optimize for keywords, your content won’t be easy to read and therefore you won’t receive enough backlinks to your content. As you write more for your company blog, it’s natural to believe that you should share only the latest content with your audience. However, when creating evergreen articles, you can benefit from them for a long time. In content marketing, you don’t necessarily need to “move fast”. The key to a successful content marketing strategy is to create content that people want to read. If your audience wants to read it today, they will want to read it also in a year time. On top of that, constantly creating new content can be a waste of time, especially when you have limited resources. It has been proven that quantity has no effects on ranking. A successful strategy to re-use old content is to update them with new found information and statistics. The good news is that even if the changes in the content are not drastic, they will still have a positive impact on the ranking, according to Google. As your company grows, you might start to struggle to find enough time to write for your blog. Opening up to guest writers could help you increase the number of posts published monthly, if not weekly, and keep the organic growth stable. Monitoring carefully user-generated content though becomes crucial as this might actually damage the work done until then. Having guest contributors is a great way to increase the social shares and referral links to your blogs, however, make sure to be in full control of what gets published on your blog. The creation part of your content and SEO strategy is the “easy” part of the job. As such, you might find yourself spending more time thinking about what could be a good topic to write about and actually write the blog post, than promoting it through different channels. If you create content that no one reads, what’s even the point of it? As you start to work on your blog, allocate enough time to understand a promotion strategy. What channels are available? Which ones are the ones bringing the most traffic? By raising awareness of your content and analyzing your promotional strategy, you can yield better results than just focusing on content creation. The more you promote, the more people will visit your website, spend time on your blog and eventually you will be reducing the bounce rate of your website overall. It’s crucial to understand that these three factors are the most important ones when it comes to ranking factors, as SEMRush reports. Internal linking plays a major role in SEO. NinjaOutreach, in their case study, reported that thanks to a well thought internal linking strategy their organic traffic increased by 40%. Thinking strategically about internal linking helps Google (or any other search engine) finding your web pages and, of course, index them. However, an important part of your internal linking strategy is to constantly monitor those links. It might happen, as your blog grows, that some articles or pages get deleted resulting in broken links or 404 pages. It goes without saying that when a user is looking to gain more insights and click on a link in an article and the page is not there, it is poor user experience. Google Search Console is a great tool to help you find 404 pages on your website that you might have missed. Another option, if your website or blog is running on WordPress is to add a redirection tool, that automatically spots 404 pages and gives you options to build easily 301 or redirect links. Comments are a great way for you to engage with users and for visitors to show their interest in your content. However, in recent years, the comment section of many blogs have turned out to be a great place for spammers to have backlinks to their websites. Nowadays, CSM platforms offer basic SPAM protection for comments, however, it is important to set a strict rule to moderate all comments made on your blog. In this way, you can vet properly how legitimate these are. Remember that not moderating this section can dilute the value for users to contribute to your blog’s growth. When thinking about titles and meta descriptions it is very important to consider the length. The title shouldn’t be longer than 70 characters, while the meta description more than 140. Although you might want to be as descriptive as possible, writing long titles and meta descriptions will actually affect the way users find your website. If the title is too long or the meta description not clear enough (and to the point) users might just skip your link. The best way to avoid this is to use an SEO plugin with this function if your blog runs on WordPress. On top of that, it’s good to be clear and include only important details. You can then customize the CTA (call-to-action) later when sharing that article on social media. By now you have clear that backlinks increase your chances to show up first in a search result page. However, Google (and other search engines) takes into consideration what type of websites are linking back to your website blog. When building up your strategy, you might be tempted to use services that help you get as many backlinks as possible to increase your Domain Authority and hence your ranking. One problem with this strategy, however, is that those “cheap” services rely on low-quality websites built with the exclusive intent of giving backlinks to blogs. This will be a “cheap” strategy that might actually cost you more, as your blog might be penalized. SEO plays a major role in any content marketing strategy. Anything that you put online, from blog posts to whitepapers or case studies, contribute to how Google and other search engines “look” at your blog. When building your brand and blog following, you will actually have to work your way up in the heart of both Google and your audience. Working on a content strategy that brings results requires time and effort. You won’t see changes overnight. However, if you write with your audience in mind, and focus on creative and interesting content, achieving great results will be much easier to achieve.